100% Wool. Foot-shaped cork latex insole. Outer sole EVA. Haflinger – formed on a last. 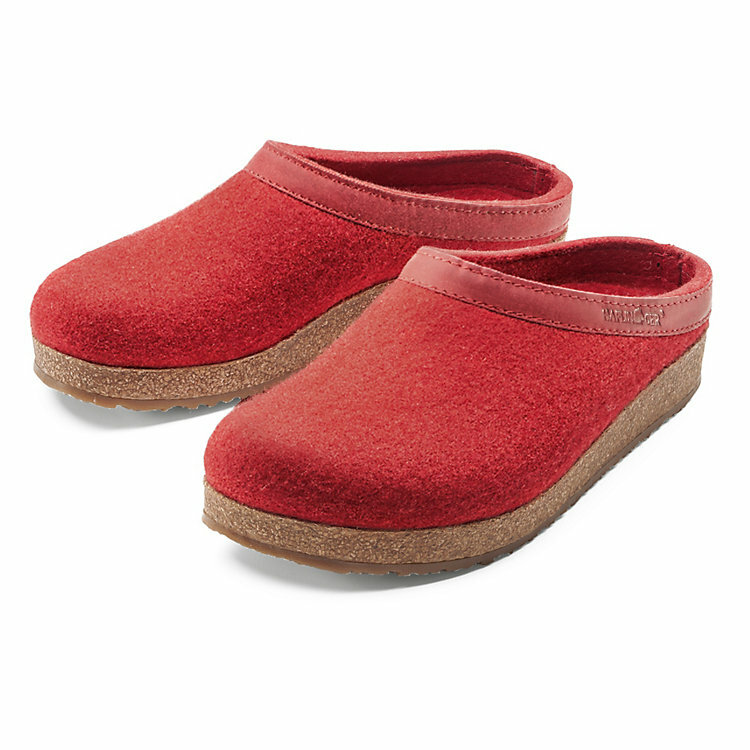 Sole and body of this slipper consist of 5 mm thick pure wool felt sewn together. The slipper is then taken off the last, steeped in water, and fitted once more (under pressure) on to the last. This gives it its great fit. A Cork latex insole with shaped toe and rounded heel ensures good grip. The outside sole is of EVA synthetic. Made in Germany. Just ordered my second pair of these, after nearly 2 years of daily use. Very comfortable, a good temperature all year around, very well constructed, also very easy to “slip” in and out off. The firm bases are great and very handy when accidentally stepping on childrens toys etc! Well worth the money.